Usually, excess wax is removed from the ear canal naturally. If a buildup does occur, the earwax will become hard and block the ear. 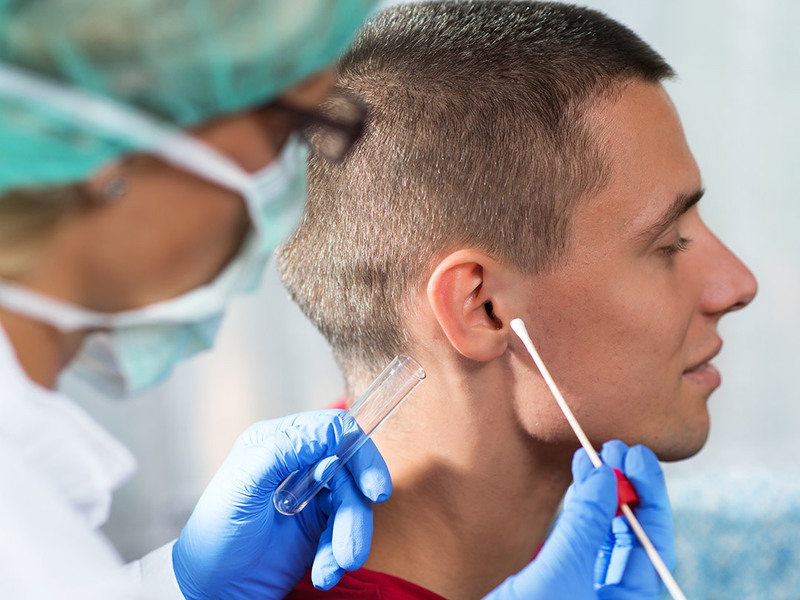 What Causes a Blockage of Earwax? A blockage of earwax is usually caused by an overproduction of earwax or insufficient cleaning. Surprisingly, the most common cause of a blockage is incorrect at-home earwax removal. Often, instead of cleaning out the earwax it is just pushed deeper inside the ear. Earphone usage can also cause wax buildup, as the earphones can prevent earwax from naturally coming out of the ear canal. If the earwax is not removed an infection can develop. This would include severe pain in the ear that does not subside and a fever. If you are experiencing any of these symptoms, you should talk to your doctor, as these may also be signs of a more serious condition. How Is a Buildup of Earwax Treated? Once diagnosed, your doctor can remove the wax buildup a few ways: with a small curved instrument called a curet, through suction or by flushing out the wax using a water pick or warm water. If this continues to be a problem, wax-removal medications may be recommended. As long as your ear is healthy and does not have tube or a hole in it, at-home treatments can be helpful to manage earwax buildup. An eyedropper can be used to apply a few drops of baby oil, mineral oil or hydrogen peroxide into the ear canal; this is done to soften the wax. Once soft, after an hour or a few days, the wax is ready to be removed. A rubber-bulb syringe can be used to gently squirt warm water into the ear canal. Once the water has drained out of the ear, the ear should be dried with a towel. This procedure can be repeated several times until the wax has been removed.